We are recruiting and training a team of Audio Transcribers to join our busy transcription operation. You can come and talk to our team on stand 128 at the MK Job Show on Friday 27th and Saturday the 28th of January in thecentre:mk. We would love to meet interested candidates and we’ll have experts on hand to provide all the information you need about our free audio transcription training opportunities. Why become an Audio Transcriber? Working as a freelance Audio Transcriber offers a variety of benefits and promotes a flexible lifestyle. 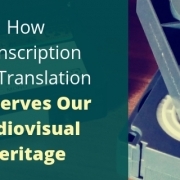 Transcribers work from the comfort of their own home, with the ability to work during the hours that suit them. This can be part-time, weekends or evenings and also provides the freedom to manage your own workload and organise your holiday time. If you have exceptional English skills, a good touch typing speed (30+ words per minute) and your own computer, we would love for you to join our team. 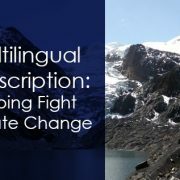 Upon registering interest, candidates will be invited to attend an additional screening to demonstrate their typing ability and language skills. 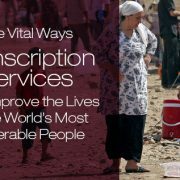 K International have been providing transcription services for over 20 years, with a well-established network of both freelance transcribers and clients. 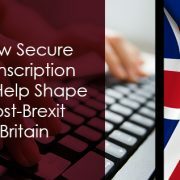 We are currently expanding our transcription department and are keen to add to our existing team of transcribers by providing training and support for those looking to launch their freelance career.Training will be free to attend (RRP £349.99) and arranged with suitable candidates for 2 to 3 weeks after the Job Show. Some Saturday spaces are available, but most training will be held Monday to Friday. Will any additional training costs be incurred? K International will cover the training costs for the training events attended, however travel costs to and from the training venue will not be included. Will I be employed by K International? You will not be employed directly by K International, nor will you be working in-house. You would operate as a self-employed freelancer, who would work from home. K International would allocate work via email and our secure file handling system. K International’s payment process will be outlined in full in our company paperwork. We operate a self-billing agreement in which you receive monthly statements detailing all work carried out during that month. How many hours can transcribers produce in a month? To give you an idea of productivity, our fastest transcribers are able to deliver transcripts for around 30 hours of recordings a month, which is around 1.5 hours of recording per day. What if my typing speed is too slow? There are a number of free on line programs available to give you an introduction to touch typing, from our experience developing strong typing and transcribing skills requires patience, time and practice. The more you type, the quicker you become! Training events are scheduled for 2-3 weeks after the job show, dependent upon candidate availability. All training events will take place at our offices based in Knowlhill, Milton Keynes. Please send us an email to training@k-international.com We will be more than happy to discuss any queries you may have in further detail.